Enjoy a heated pool all year long. 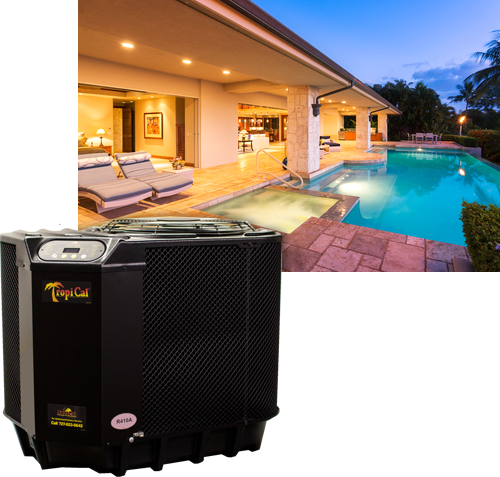 Aquacal pool heat pumps are the most efficient, dependable, and long lasting heaters available. As authorized dealers, we include an extended warranty on your new heater, at no additional cost. We can usually install your new heater within 48 hours. Feel free to ask for commercial and residential references in Broward, Dade, and Palm Beach counties.